South Africa reports having one of the highest rates in the world of prescribed stimulants for children labeled with so-called Attention Deficit Hyperactivity Disorder (ADHD) - a rate even higher than in the U.S. While The New York Times recently reported the prescription of dangerous antidepressants and antipsychotics to children aged two and younger in the U.S., South Africa shows antidepressants are also being prescribed to children aged two and younger and powerful antipsychotics like Risperdal are approved to treat disruptive behavior in children older than 5 with mental retardation. 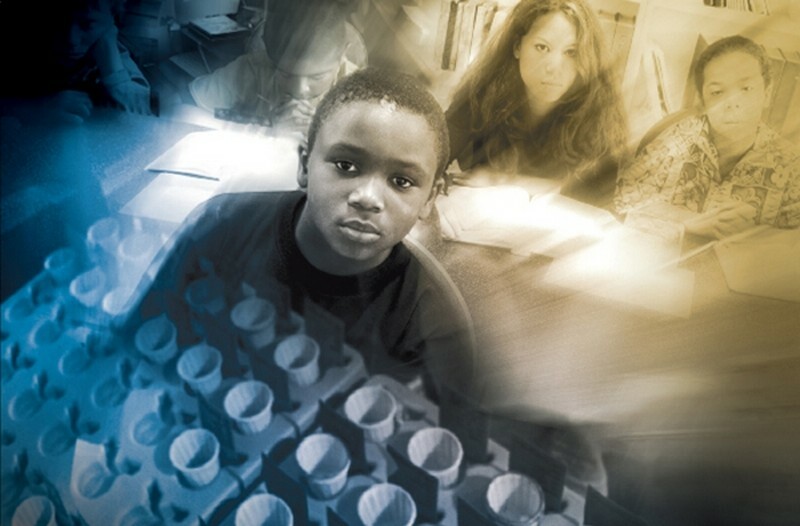 Wanting South Africa to avoid the epidemic psychotropic drug abuse of children the U.S. is experiencing, Citizens Commission on Human Rights (CCHR) International has launched a campaign to inform South African parents and teachers about psychotropic drug risks in children. As part of the campaign, booklets are downloadable to be distributed to parents to become better informed and to refuse to sign consent forms for children to be “screened” for psychological or mental “disorders” through the school system. Parents can also download, print, and sign a form to protect their child from invasive school questionnaires that could lead to a referral to a psychiatrist for psychotropic drugs. South Africa adopted an “Integrated School Health Policy” in 2010, which included a mental health program. It likely opened the door to more children potentially being drugged. South Africa reports having one of the highest rates in the world of prescribed stimulants for children labeled with so-called ADHD - a rate even higher than in the U.S. The stimulants can cause hallucinations, liver problems, seizures, stunted growth, psychotic or manic symptoms, and suicidal thoughts. Unlike for diabetes, heart problems or medical conditions, there’s no scientific test to prove that ADHD exists, as agreed by many doctors. The United Nations Committee on the Rights of the Child has warned governments about the diagnosis of ADHD and the need for alternatives to stimulants prescribed to treat it. Another parallel between South Africa and the U.S. is the conflicts of interest - the financial ties between psychiatrists and pharmaceutical companies - that help fuel the increases in psychiatric drug prescriptions. 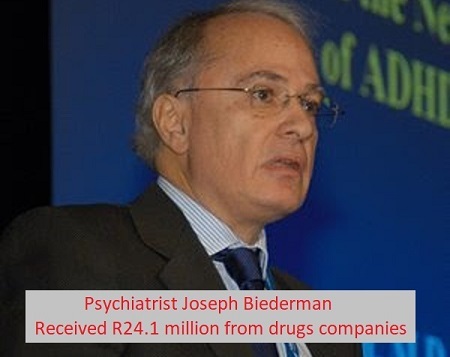 The South African Society of Psychiatrists Treatment Guidelines for Psychiatric Disorders was written by ten psychiatrists (one who passed away prior to reporting any conflicts of interest), of which six had financial ties to drug companies that manufacture psychiatric drugs. The Guidelines cite the U.S. “Father of child drugging,” Prof. Joseph Biederman, a Harvard University psychiatrist whose failure to disclose to the university the $1.6 million (R24.1 million) he made in consulting fees from drug makers was uncovered by a U.S. Senate investigation. According to The New York Times, his research helped cause a 40-fold increase (1994 to 2003) in the diagnosis of childhood “bipolar disorder” and the rapid rise in dangerous antipsychotic drugs to treat it. In 2009, court documents revealed that Biederman appeared to have given Johnson & Johnson assurance in advance that his studies of their antipsychotic risperidone (Risperdal) would be favorable for preschool age children. According to the Anti-Drug Alliance of South Africa, many doctors are receiving kickbacks including paid holidays abroad for prescribing certain drugs in the treatment of ADHD. The South African guidelines, especially relating to ADHD, should be rejected. The use of Ritalin and other drugs to treat ADHD was reported in January 2014 as soaring among primary school children in Nelson Mandela Bay, Eastern Cape province. A local pharmacist reported an increase of nearly 50% in Ritalin prescriptions over the previous year. Antidepressant use in South Africa has increased by 39% over the past four years. Similar to the U.S. Food and Drug Administration, in 2005 the South Africa Medicines Control Council issued a “Drug Alert: Warning: selective serotonin reuptake inhibitors in children and adolescents,” directing that SSRI antidepressant packaging include a warning statement of increased risk of suicidality. South African parents have the right to know about safe alternatives for their child and to ask their doctor about non-drug treatments.